Did an amazing job early for the job and they were able to get stains out that 2 other companies were not. Defiantly worth every penny I spent. We will be a repeat customer. Prompt and fair. Was very thorough, worked efficiently, and cleaned up behind their selves. This company keeps their word. Would definitely hire Carolina Pro Clean again! I own a childcare facility and have to be extremely careful when it comes to my carpets. I have had bad experiences in the past and will now only trust Carolina Pro Clean. They are loyal and consistent. I will stand behind anything they do. They were very professional and meticulous. It is a great company that actually takes pride in their work. If you are in need of a professional cleaning service, we would highly recommend Carolina Pro Clean. They were Great!! Our Pressure Washing service was on point! We look forward to the Window Cleaning. My carpet looks so good… I don’t want to let anyone step on it! I just wanted to complement your company for its wonderful service. We have utilized the expertise of your technicians to clean all of our carpets, rugs and upholstery in our home. And we will continue to do so. Thank you so much for making my house look so lovely. I am lucky that your company puts such quality care and effort into the service you provide. Carolina Pro Clean did a great job on our gutters, windows and decks. We highly recommend them! Your service continues to be the BEST… after all these years!! Thank you so very much! 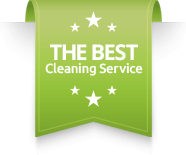 Carolina Pro Clean provides outstanding service at a fair price. Our family gives Carolina Pro Clean 5 stars! Carolina Pro Clean has proven to me that there are still companies that care about the customer. I would recommend this company to anyone & everyone that would listen to me singing the praise of this company!! Carolina Pro is the way to GO!! Thank goodness for an honest, decent, take pride in their work company! Thank you for a job well done!! Very happy with the results! Stains are completely gone! Carolina Pro Clean did an excellent job on power washing our cottage. They were willing to meet the price I normally pay another company (which was lower than his normal rates) and they did a meticulous job. This company contacted me in a timely manner and was prompt in getting me an estimate. I felt like this company was honest and trustworthy. I highly recommend CPC! I had my roof, house, windows and porches washed. The house looks great! Thank you Carolina Pro Clean! Carolina Pro Clean was a life saver!! They fixed the clog in our gutters just before the big storm hit. Thank you so much for working us into your busy schedule! We appreciate how understanding Carolina Pro Clean was. They worked with our schedule and budget with no questions asked. We will defiantly us them in the future. Toward the end of the season our rental home had accumulated a few stubborn stains. Carolina Pro Clean did an excellent job at removing them! I was amazed!! An honest company that goes above and beyond expectations!